Where was I? Yes, skincare. We all know that great makeup begins with great skin and like I always say "makeup artists can only cover spots not bumps" but even with that, it's great to be able to walk around and be yourself without stopping people in their tracks 'cos of your horrible skin. I'll admit that I've not used these +Estee Lauder products for a full 4 weeks period. However, I can give my comments on them for now and perhaps give another update to this after a 4 weeks period. This serum is super lightweight, very fluid and clear. It is absorbed almost immediately into the skin. It's like there was nothing there only seconds after application. I kind of prefer to press it lightly into my cheeks and jaw and then rub in opposite directions when I get to my forehead. I do admit that there is a bit of a glow to the skin when used consistently morning and night. 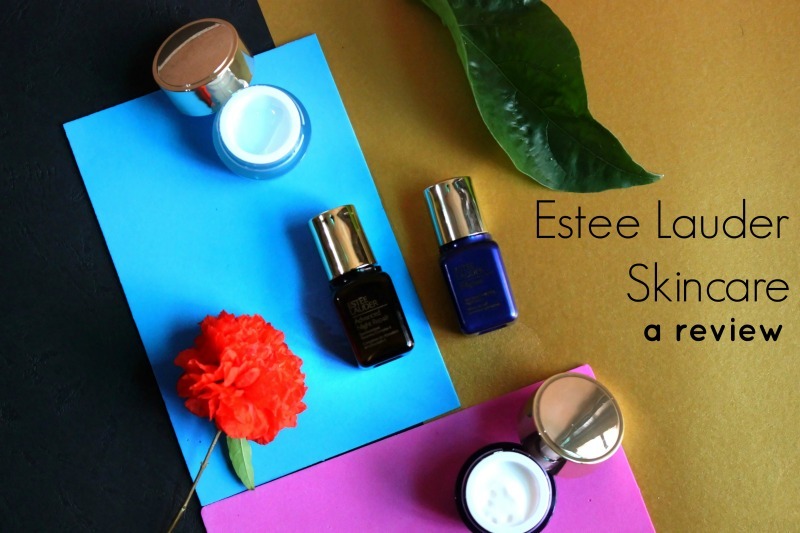 While not being as lightweight as the Advanced Night serum and with a white, opaque formula, the Enlighten serum is also quickly absorbed into the skin even when applied over the AN serum as Estee Lauder advises. I'm not sure if it's this product or a combination of both but my skin feels firmer after applying this serum. Almost too thick for night time this creme makes my skin feel super greasy after use but my skin thanks me for it in the morning as it feels really supple and matte. This creme is used over the serums at night which is quite confusing so unfortunately I can't say what exact product creates the matte effect the morning after. I only use this during the day and you can imagine how reluctant I was to use it even for just review purposes 'cos I always say matte products are wasted on me. But.......I'm glad I did. On the days when I have no makeup on, I usually notice that my face gets a bit greasy especially in the afternoons but this isn't the case when I've used this in the morning over all the others. I must admit that it does a good job of mattifying all the hydration & moisture from the serums and the Enlighten creme. By evening, my skin still feels supple like when I just woke up and I can still feel the satiny matte finish. I can't give individuals verdicts for these products as they all have to be used together hence my rant in the first paragraph. Together, applying them one after the other layer by layer reminds me of how I love to apply my makeup so it isn't cakey and heavy. So that is kind of a familiar practise for me. The skin is supple, beautifully hydated and great to touch (yes, even my tiny acne ridden chin, lol). These products are definitely not affordable but are very pricey but with the results I experienced within a short period, I'd say long term usage of them will definitely yield the results mentioned.